Dahlia’s Tear is a dark ambient project out of Stockholm, Sweden by sole member Anile D. Dahlia’s Tear debuted in 2005 with Harmonious Euphonies For Supernatural Traumas Mesmerising Our Existences in Radient Corpuscle and was followed up in 2007 with My Rotten Spirit of Black. Yet, these two releases remained quite elusive, and have only recently been uploaded to the personal Bandcamp page of Dahlia’s Tear. Therefore, my knowledge of the project starts with their masterpiece Under Seven Skies, also from 2007 and released on the now defunct Thonar Records. The strength of Under Seven Skies would lead to Dreamspheres in 2012 which was released on the legendary Cold Meat Industry. This all seemed to be leading toward Dahlia’s Tear becoming a first-class name within the dark ambient genre. 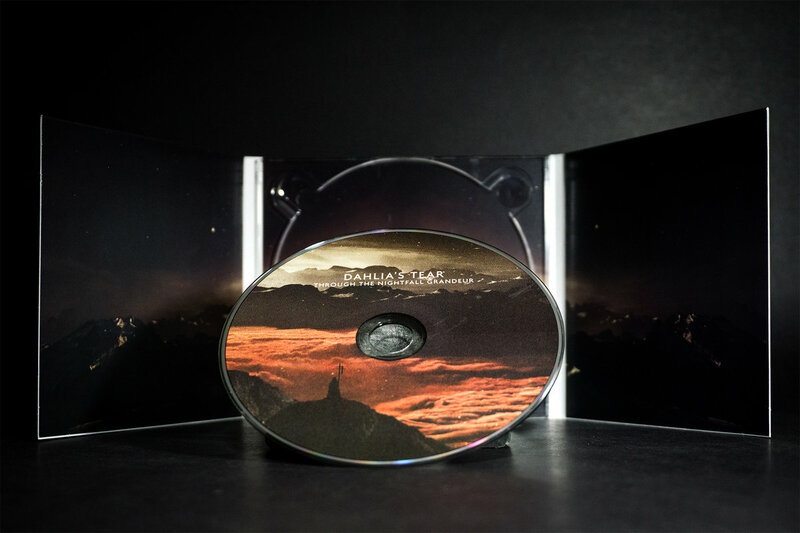 But, after their one-track inclusion on the Cryo Chamber compilation Behind the Canvas of Time in 2012, Dahlia’s Tear disappeared for the next six years. Each time I listened back to Under Seven Skies and Dreamspheres I would think of that track on Cryo Chamber, and hope that one day there may be a new album by Dahlia’s Tear released through that label. Dahlia’s Tear did, indeed, keep in contact with Cryo Chamber throughout these years, and the long-awaited follow-up to Dreamspheres has finally arrived! Though plenty of time has passed, the core of the Dahlia’s Tear sound has remained intact. Those familiar with Dreamspheres and Under Seven Skies will find many of the elements they loved are still being incorporated on Through the Nightfall Grandeur. Each track is distinctly musical, in comparison to many dark ambient releases, on Cryo Chamber or otherwise. Drones are constantly morphing and shifting. Piano arrangements feature often and distinctly in the mix. The female voice is incorporated throughout the album, taking the form of short, spoken word passages, (more in line with Dreamspheres than with the vocal performance by Carline Van Roos of Aythis and Lethian Dreams on Under Seven Skies). One of the most moving elements of the Dahlia’s Tear sound, for me, has been its blending of the musical, dreamy, light-hearted elements with harsher industrial field recordings and tones. Again, this aspect of their sound is still intact, and further honed. This contrast is perfectly displayed on tracks like “Drowning in Delusions of Grandeur”, where the piano, female whispers, and distant chants, all play beautifully off one another, creating something that is at once familiar and warm, but equally harsh and remote. The opening track, “Encroaching Shadows Beckon to Chase the Fleeing Light”, shows off the use of field recordings and subtle drone to create a dark but vibrant atmosphere. We get a real sense of the evolution of Dahlia’s Tear with this one. While, the following track “The Keeper of Broken Dreams and Tattered Spirits” seems like a direct continuation of the styles incorporated on Under Seven Skies. It is nice to see how this musician manages to retain the magic of these previous releases, while also moving into new terrain. 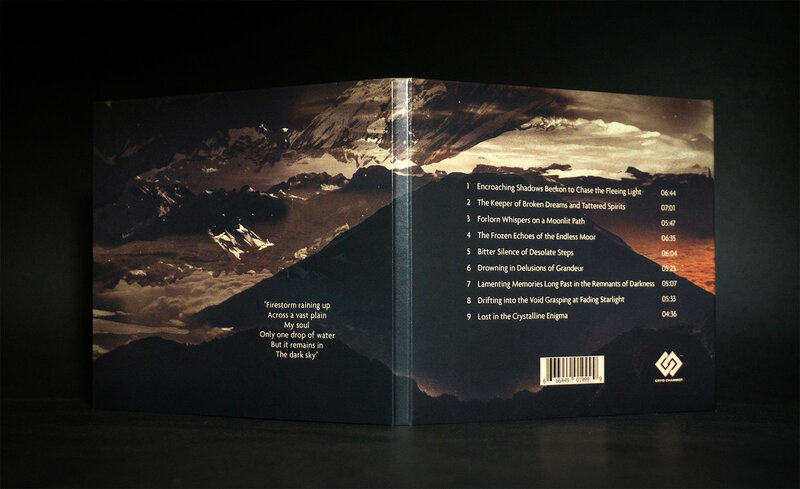 The cover-art for Through the Nightfall Grandeur seems to also nod to the artwork from Under Seven Skies, with thick fog and clouds rolling across the mountainous landscape. Though here there doesn’t seem to be such a connection to alien technology as was on display with Under Seven Skies. While the cover-art was created by Simon Heath, the album was not mastered by him, as is almost always the case with Cryo Chamber releases. Instead it has been mastered by Jeff M. in the U.K. The vocal performances, as well as words, on the album have all been contributed by one Michelle Rippy, who also contributed to Dreamspheres in 2012. 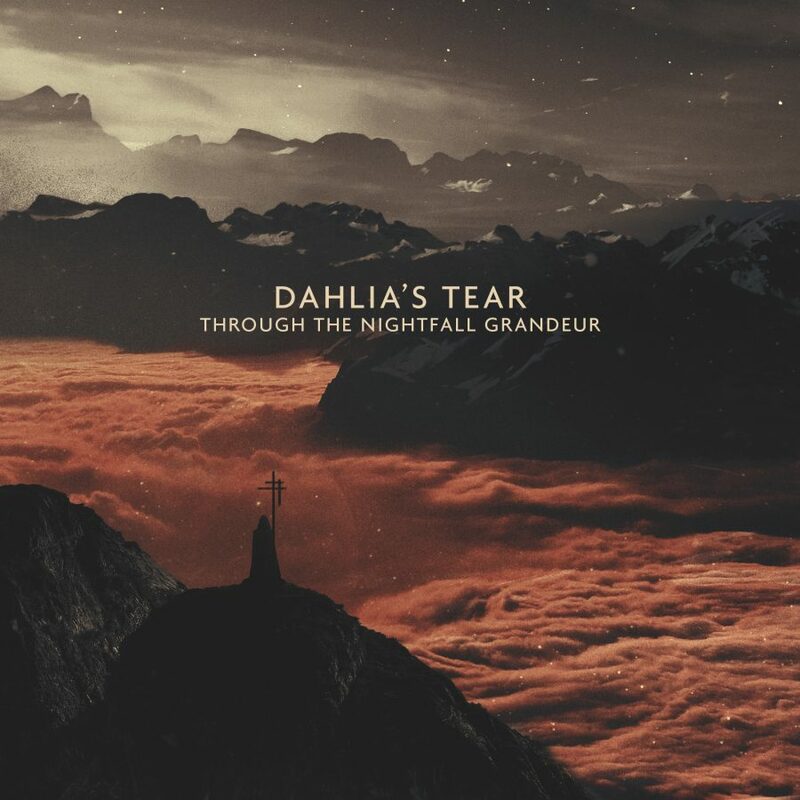 Dahlia’s Tear has always been one of my favorite dark ambient musicians when I’m in the mood for something more musical and more active than most dark ambient releases. For anyone familiar with Dahlia’s Tear, I think you will likely agree that this album is equal if not superior to his previous output. For anyone new to the sounds of Dahlia’s Tear, I highly recommend this dark ambient project. I can’t overstate my pleasure that I can cover something new from them, when I was often unsure if I’d ever hear anything new from them ever again. It’s also great to see that they’ve found a home on Cryo Chamber, where their music will certainly now become familiar to many of the more recent fans of this genre.